The Havant Symphony Orchestra’s next concert is at 7.30pm on Saturday 17 March at Oaklands School, Waterlooville. Despite it being the evening of St Patrick’s Day there won’t be a shamrock, leprechaun or shillelagh in sight. Hopefully, the Beast from the East and Storm Emma will have blown themselves through by then. However, concert-goers can revel in the stirring music of Eastern Europe. Liszt, Dvorak and Mussorgsky are on the menu. There’s also a piece by that Yorkshireman, Frederick Delius, to bring classical music lovers closer to home. Musical director and conductor Jonathan Butcher certainly knows how to put a decent programme together for the HSO. As an opening number, Liszt’s Hungarian Rhapsody No 2 will make the audience sit up and take notice. It’s well known and has been arranged and re-arranged many times for background music to Daffy Duck and Mickey Mouse cartoons, Agatha Christie films, Vaudeville frolics and circus performances. The orchestral version still remains the best for sheer excitement. It sounded great in rehearsals and without a doubt HSO will do it justice on the night. Dvorak’s Violin Concerto comes next. 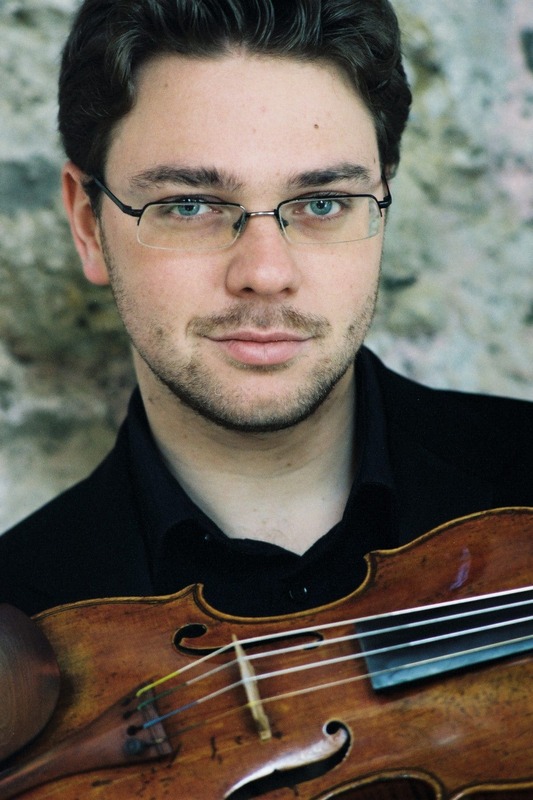 HSO is lucky to get the soloist Alexander Sitkovetsky. He’s got a fine reputation and is in great demand. Always on the go, he’s played with orchestras or with his piano trio in Russia, the land of his birth, Lithuania, Holland, Sweden, Australia, New York and Wales. He’s currently touring around Hull, Sheffield and Middlesboro. Later this year he’s off to the Far East. Dvorak composed this work hoping it would be played by the celebrated violinist Joseph Joachim who was a pal of Johannes Brahms. But the Hungarian virtuoso had reservations about the work and never actually performed it. None the less the concerto is considered an important work in top violinists’ repertoires. Alexander Sitkovetsky is renowned for his incandescent bowing, speedy left hand and ferocious attacks. Stand by for fireworks. Frederick Delius’ “The Walk to the Paradise Garden” is a complete contrast. Taken from the comic opera “A Village Romeo and Juliet”, the intermezzo has endured even though the opera was not a great success. This beautiful piece will be conducted by Richard Miller who is the current holder of the Bob Harding Bursary which was set up to give budding conductors experience of conducting. The evening’s finale is “Pictures at an Exhibition” by Modest Mussorgsky. Composed in 1874 as a piano piece for virtuosi, this was wonderful work was arranged for orchestra by many composers. The HSO will play the celebrated version created by Maurice Ravel. The whole thing is an ingenious idea, portraying visitors at an art exhibition strolling from picture to picture. This promenade keeps recurring as they pass the weird and wonderful artworks. Mussorgsky must have let his sometimes vodka-fuelled imagination run riot for the pictures range from an ugly gnome, a hut on hens’ legs which is a Russian fairy tale about a witch, chickens dancing in their shells, two Jews walking in deep conversation and so forth right through to the majestic Great Gate of Kiev. It’ll be a thunderous end to a great evening.